Hello Everyone...we are in Day 2 Wplus9 2014 October Holiday Release.. 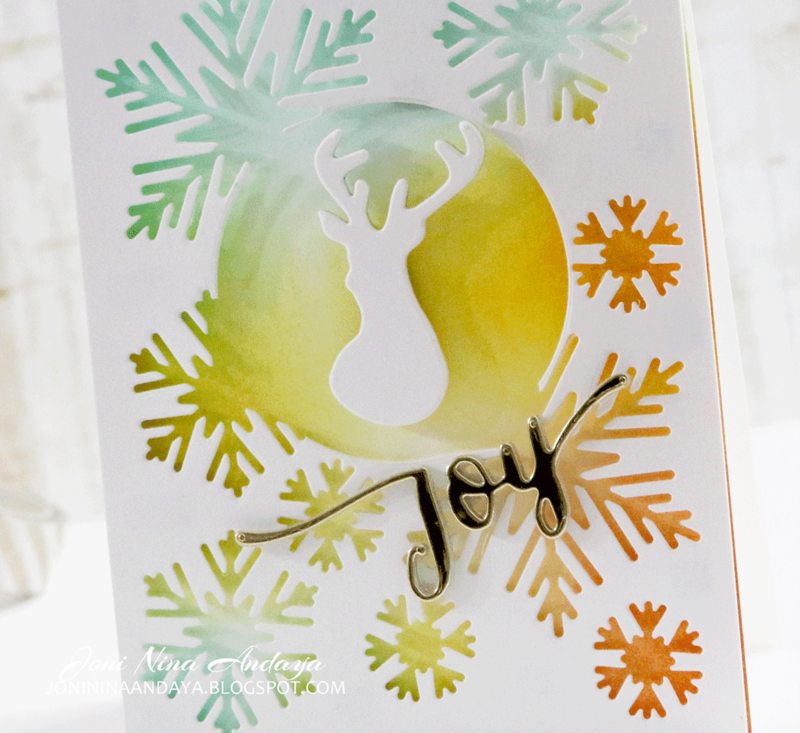 I am showcasing Hand Lettered Holiday, Snowflake Trio, Stag Trio dies. To begin my project I first distress the card base with different colored Distress ink. 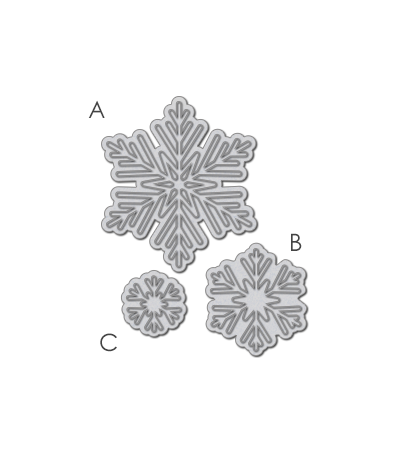 Next, I die-cut the Snowflake Trio on white card panel and die-cut a circle die on the center. 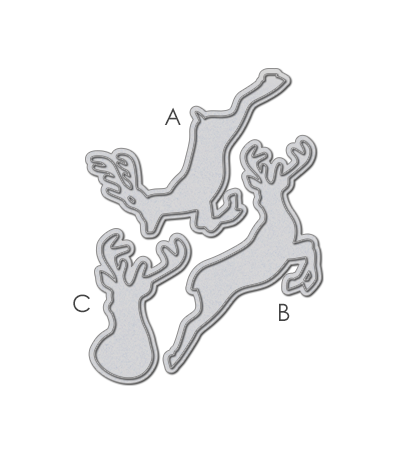 I then adhere the snowflake panel and one of the stag's die with dimensional foam tape. 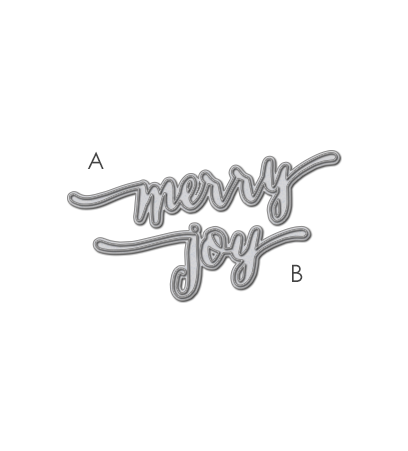 To finish off the card I die-cut the "joy" die on a gold cardstock and adhere on the card panel. For more inspiration please visit the Wplus9 Blog. Don't forget to visit Kara and Maureen more product reveal. Such a cool design! Love all the colours peeking through the die cuts! My favorite. Hands down. Ever! Drop dead gorgeous! I adore this card! Love the die cut technique with the circle in the middle! Beautiful card! Gorgeous and colorful card! Thanks for inspiring. Oh wow! This is stunning Joni! Love the blended background!! So gorgeous!! I loveeeeeee the deer and the snowflakes!!!!! Wow !! this is so beautiful !! ...Love it !! fabulous use of negative space n the bg is amazing ! So so gorgeous and I love the non traditional colors that you used.Fabulous!